Terrell Owens and Cheryl Burke dance next, performing a Viennese waltz to “I Have Nothing” by Whitney Houston. His most memorable year is 2012, the year his grandmother passed away. Owens hopes to honor her with the dance since she was such an important part of his life. Bruno Tonioli calls the dance Owens’ “most accomplished performance,” while Carrie Ann Inaba says she saw poise and eloquence. Len Goodman thinks it was elegant, well-crafted and emotional. They score a 24 out of 30. It’s an emotionally-charged night on “Dancing with the Stars” as the 11 remaining couples reflect on their most memorable year. On Monday, the stars will celebrate their biggest moments in life by dancing a jazz, jive, quickstep, Viennese waltz, foxtrot, rumba or contemporary routine for the popular Most Memorable Year night. One couple will be sent home tonight. Sasha Pieterse and Gleb Savchenko are currently at the bottom of the leaderboard with 19 out of 30 points. At the top of the leaderboard are Lindsey Stirling and Mark Ballas, who earned the highest score so far of the season (27 out of 30) during Monday’s Guilty Pleasures Night. 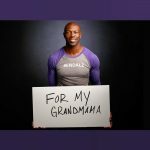 According to ABC, Owens is a “philanthropist, entrepreneur, fitness expert, model, motivational speaker, humanitarian, loving father and the NFL’s 6-Time Pro Bowler” who has played for the San Francisco 49ers, Philadelphia Eagles, Dallas Cowboys, Buffalo Bills, Cincinnati Bengals and Seattle Seahawks. He is also a best-selling author. The star-studded lineup for the 25th season of “Dancing with the Stars” includes former NFL wide receiver Terrell Owens, Hamilton’s Jordan Fisher, “Pretty Little Liars” star Sasha Pieterse and “Property Brothers” co-host Drew Scott. Other stars include Victoria Arlen, Nikki Bella and Nick Lachey. Fan-favorite pros Mark Ballas and Cheryl Burke also return to the dance floor this season, along with hosts Tom Bergeron and Erin Andrews. The judging panel features Len Goodman, Carrie Ann Inaba and Bruno Tonioli. Their scores, along with America’s votes, determine which couples will go home and which ones will advance to compete for the coveted Mirrorball trophy. “Dancing with the Stars” airs every Monday night at 8 p.m. on ABC. What did you think of their performance tonight? Sound off in the comments section below!